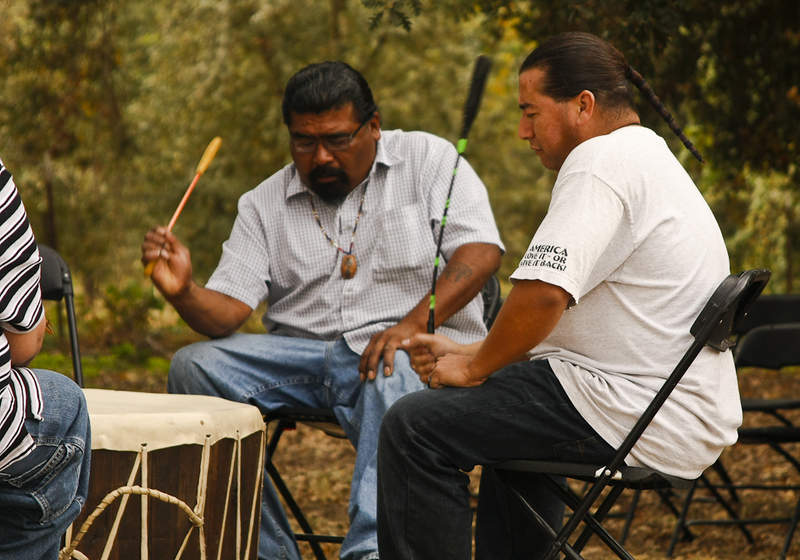 “The land spoke and was heard last Saturday at the Kaweah Land and Arts Festival’s Field Day event at the Kaweah Oaks Preserve. I predicted as much, so I was glad to be confirmed. My job now is to give you a taste of what I meant. 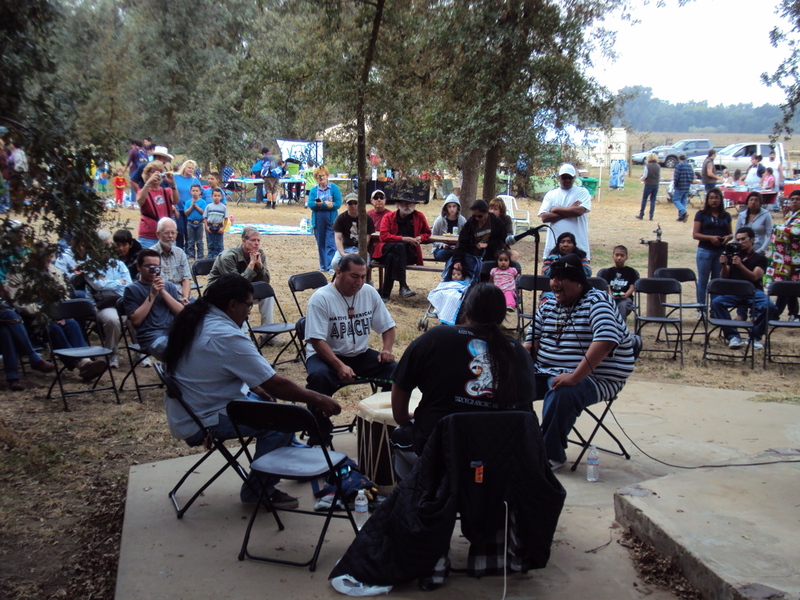 The Kaweah Land & Arts Festival was a great success! 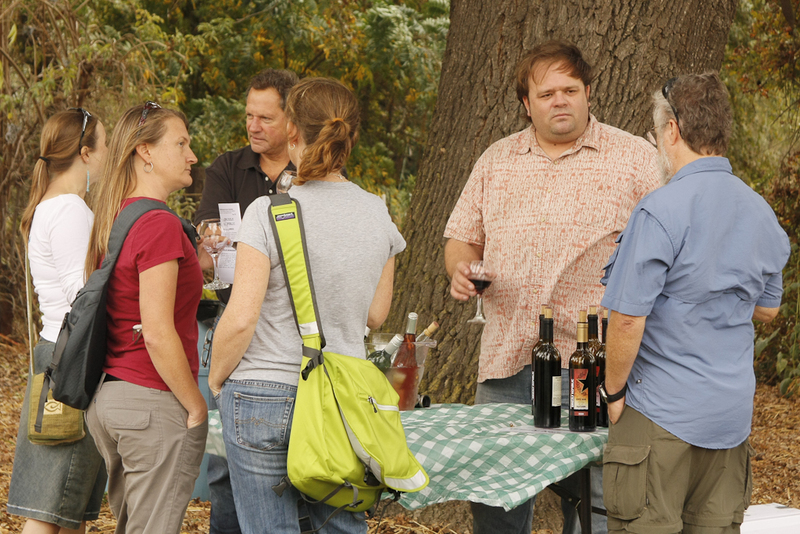 Thanks to everyone who came out to experience the events, whether you joined us at The Cellar Door, Arts Visalia, the Kaweah Oaks Preserve or C.O.S. Thank you to our wonderful volunteers! Thank you to all the amazing artists, presenters and musicians who donated their time and talents to this worthy cause! And thank you to all of our sponsors! The Festival was a diverse selection of events and it was really great to see such a diverse representation of our community supporting land conservation and the arts. 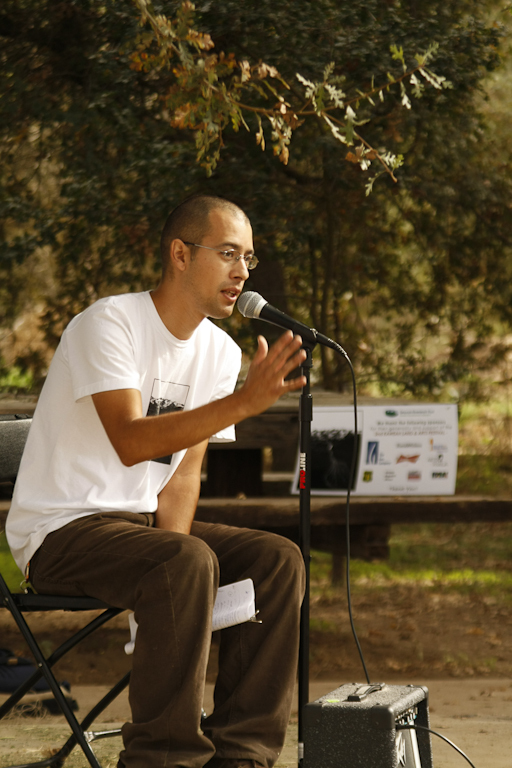 The Land & Arts Symposium, “Becoming Native,” was the exclamation point to the Festival. Five panelists from very different backgrounds each talked about their family histories and how they came to respect this region as their native home. 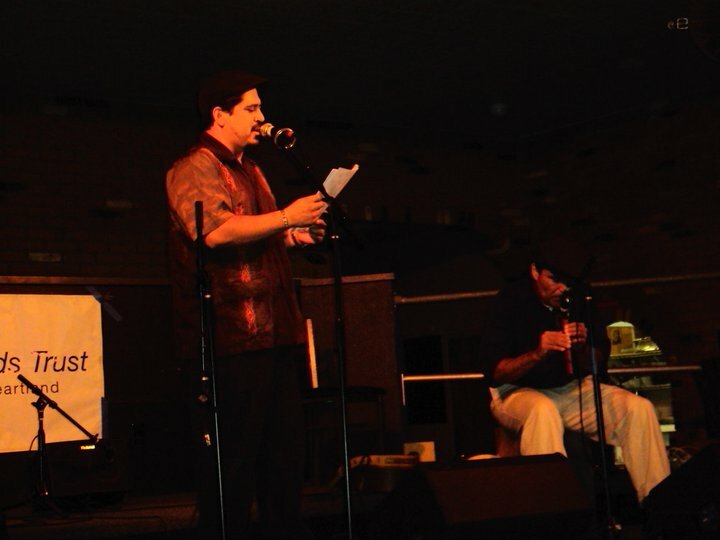 Each of the panelists articulated to the crowd at the Ponderosa Room an almost precise moment or activity when they realized they were “native.” For Adam Longatti, landscape painter from Fresno, it was when he decided that this Valley landscape would be his infant daughter’s home, and that the smell of the spring orange blossoms would always remind her of that. For Jennifer Malone, native Wukchumni, her native identity was passed down from her ancestors. But more than that, she continues to “become native” everyday as she advocates for her heritage and teaches young Native Americans the ancient traditions of harvesting plants for food and art while always maintaining an ethic of respect and generosity for the land. 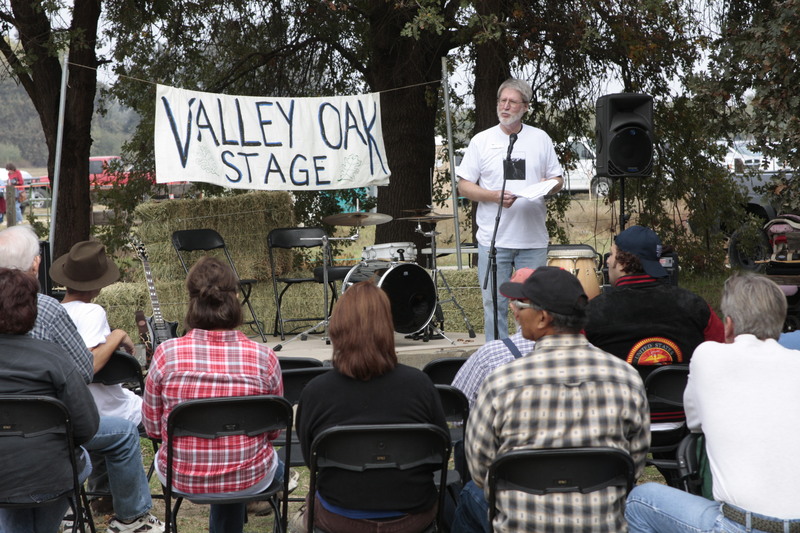 Alan George, a long-time crusader for the legacy of Visalia’s valley oaks, has a vision of native that aligns with the roots and branches of the majestic oaks that populate the city. His lifetime dream is to create a more hospitable home for the valley oaks than the one that existed 86 years ago when he was born here. He’s done a remarkable job and we all owe thanks to that. 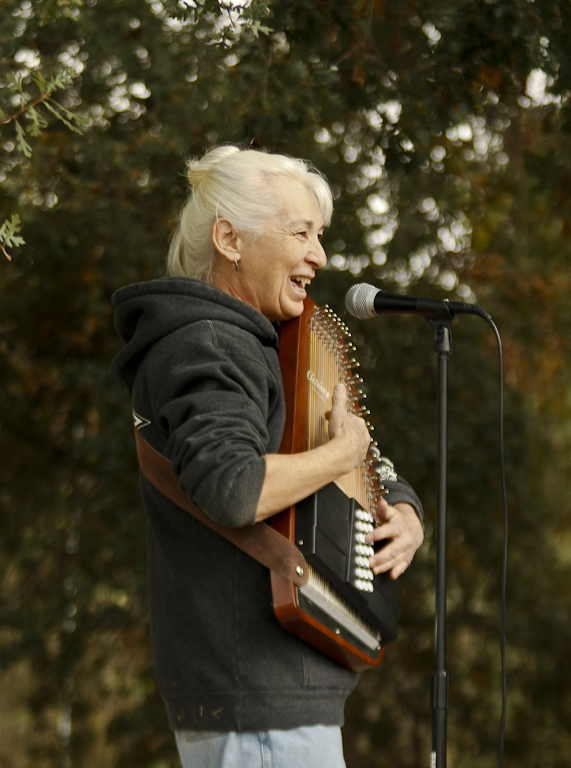 Louise Jackson‘s family has a long history in the region and her native identity is nestled in the alpine meadows of the Sierra, but flows down the Kaweah to remind people in her history books of the inconnectedness of those mountain peaks and the valley farms and towns below. Richard Arenas, a sculptor, was born to Mexican parents who had relocated to the southern San Joaquin Valley in search of a better life. His native identity comes from picking grapes and olives in hot, dusty, summer fields. Though he’s gone on to become a fine artist, his hands remember that hard labor and his beautiful bronze statues reflect that “campesino” heritage for others. We all have an identity that is grounded here in these fields, trees, flowers, in this culture, in this dirt. We all have stories that connect us to the land. Btu we don’t always talk about them and give them a stage and an audience and a round of applause. That’s what Sunday’s symposium was about. And it felt really, really good! A member of the audience got up and told a story about how gratifying it is to tend to his home’s new native plant landscape… yet another way to become native to this region. But the real question that we all grappled with is the real message behind the Festival. How do we get everyone to take a little more pride in their native identity? How do we spread the message beyond the Festival, throughout the year, and grow the imperative to see and treat our land like the art that it is. The group consensus was that we have to educate the youth and support the nonprofits who defend and preserve the native identity of this landscape. Please support Sequoia Riverlands Trust and our efforts to continue raising awareness about the sacredness of this landscape. Now is the time to take action. You can also look into the advocacy work of Tulare County Citizens for Responsible Growth. Sign their petition for the Tulare County General Plan. Also, get your kids outside. 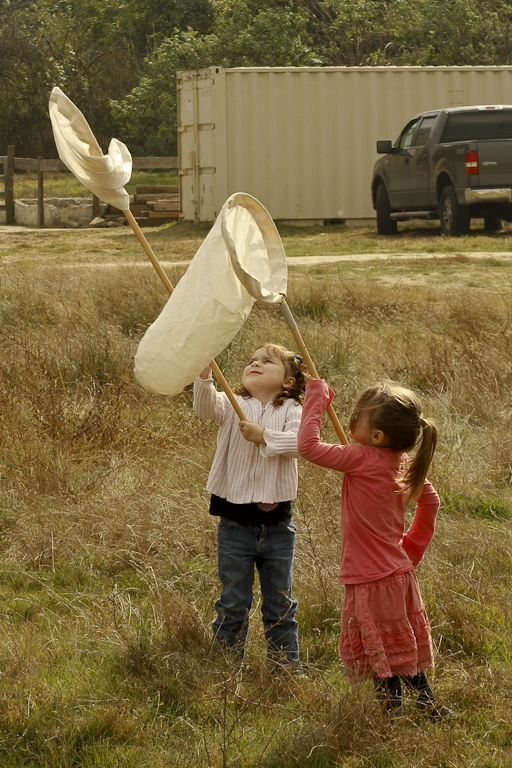 Teach them to explore, touch and interact with nature so that they can foster their own unique and enduring relationship with the land. Take pride in what you have today by taking action to create a better tomorrow. And, a couple pictures from The Cellar Door on Thursday, November 4 for the opening night of the Festival — “Blues & Dust” with Tim Z. Hernandez, Lance Canales & the Flood, Dayanna Sevilla and John Spivey. 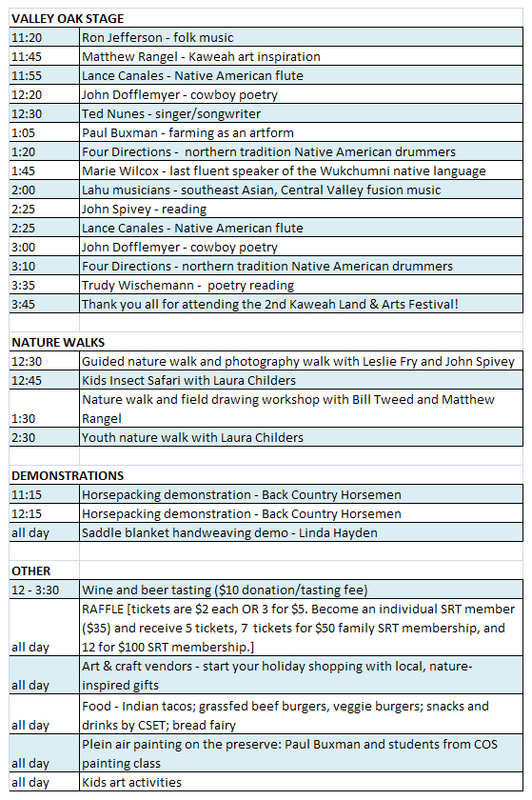 This just in… the performance and activity line-up for the Kaweah Land & Arts Field Day, “Getting Grounded,” on Saturday, November 6 from 11am-4pm at Kaweah Oaks Preserve. Check it out. Click on the schedule below to expand the view. 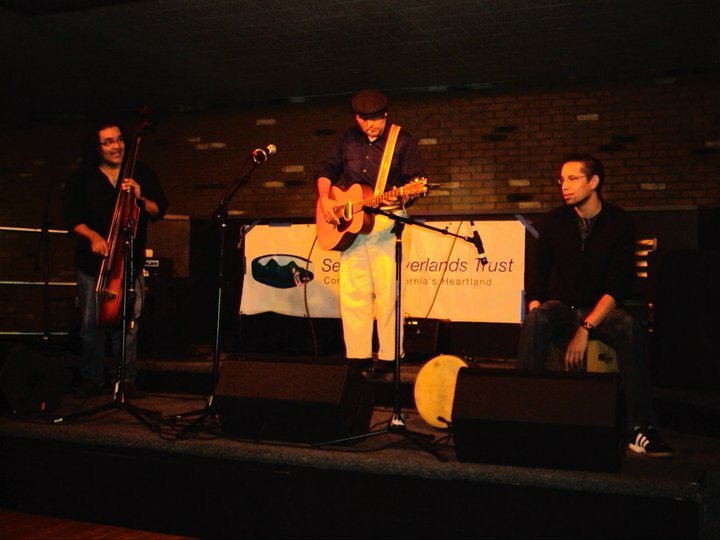 And if you haven’t checked it out, here’s an article in the Times-Delta about the Festival: http://www.visaliatimesdelta.com/apps/pbcs.dll/article?AID=201010290301. 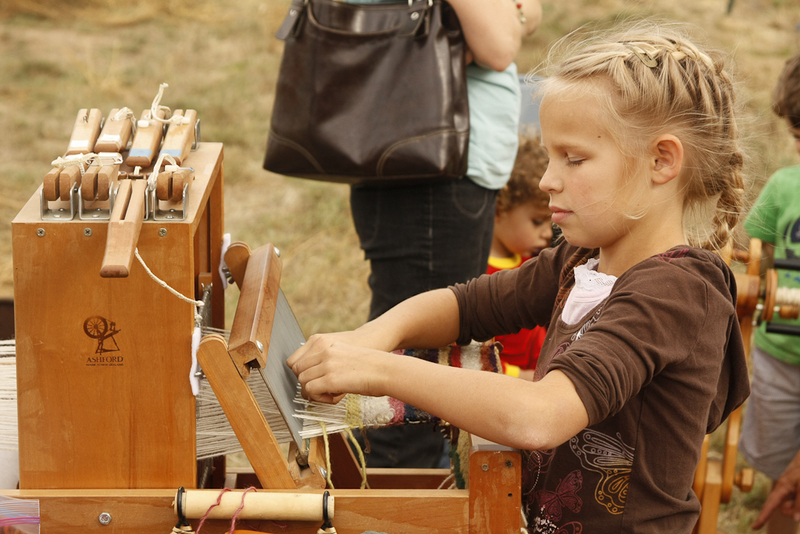 The much anticipated 2nd Kaweah Land & Arts Festival is arriving soon! November 4-7, 2010! This year, we are bringing to our community four fantastic events that exhibit different cultural and artistic disciplines that celebrate the diversity of the land that surrounds and sustains us. 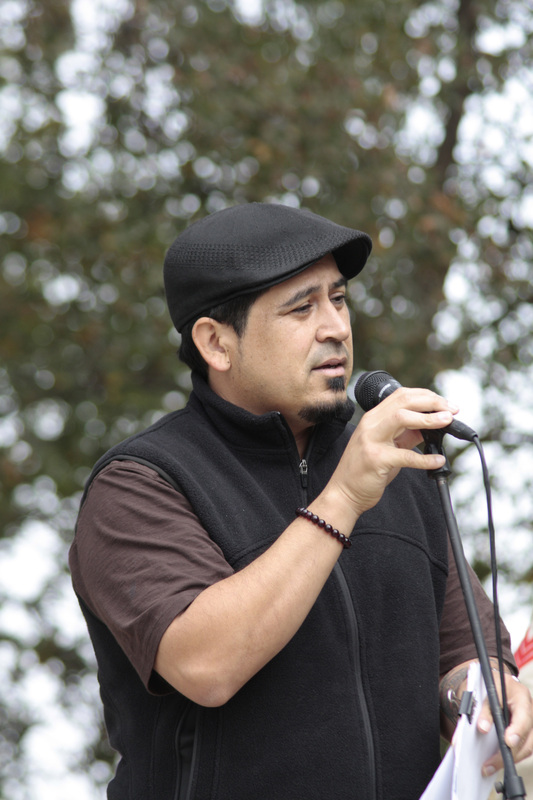 Thursday, November 4: “Blues & Dust,” an evening of performance poetry and music featuring American Book Award winner, Tim Z. Hernandez, and “Native Americana” music by Lance Canales and the Flood. Also, performances from Dayanna Sevilla and John Spivey. Where: The Cellar Door, Visalia’s hip entertainment venue and wine bar. 101 W. Main St., Visalia, CA. Time: 9:00-11:30pm. 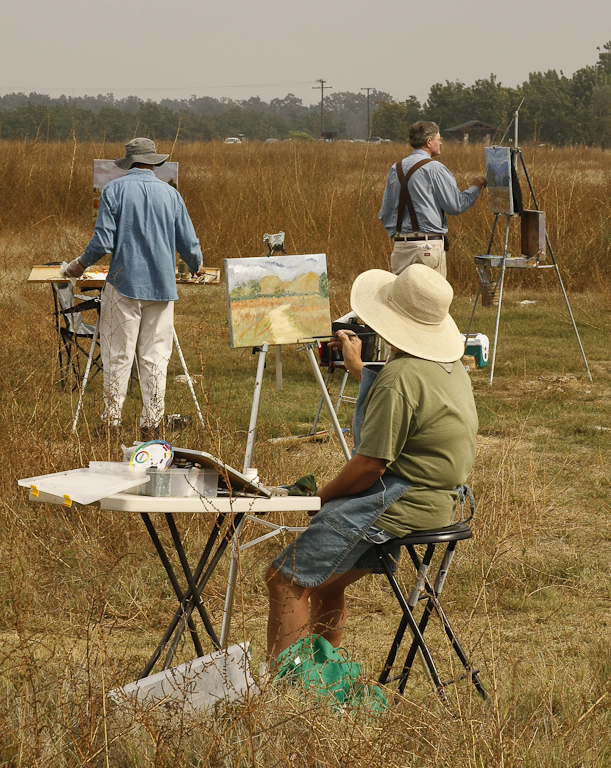 Friday, November 5: “Visual Harvest: Paintings by Paul Buxman,” an artist opening for renowned local plein air painter and farmer, Paul Buxman. 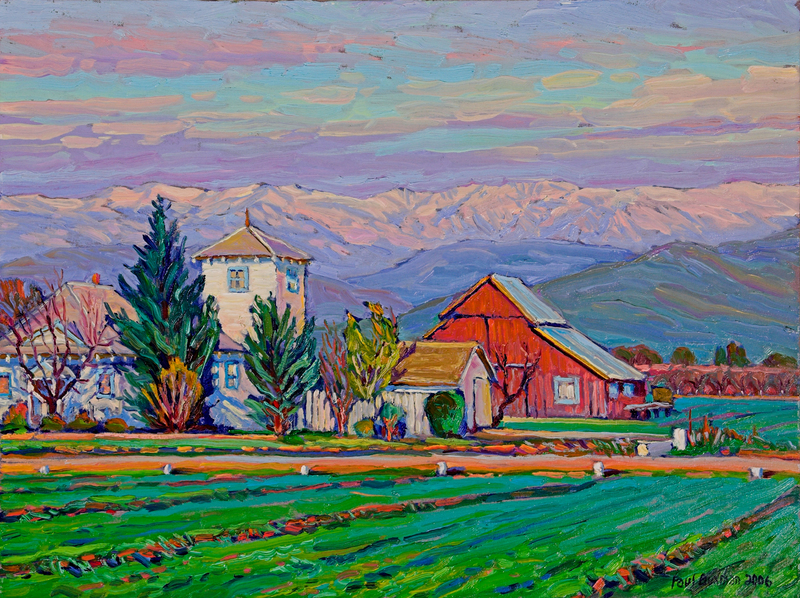 The exhibit features a stunning collection of bucolic landscape paintings. A secondary exhibit will feature the winning photographs from SRT’s 2010 Landscape Photography contest. Where: Arts Visalia, 214 E. Oak Ave., Visalia, CA. Time: 6:00-8:00pm. 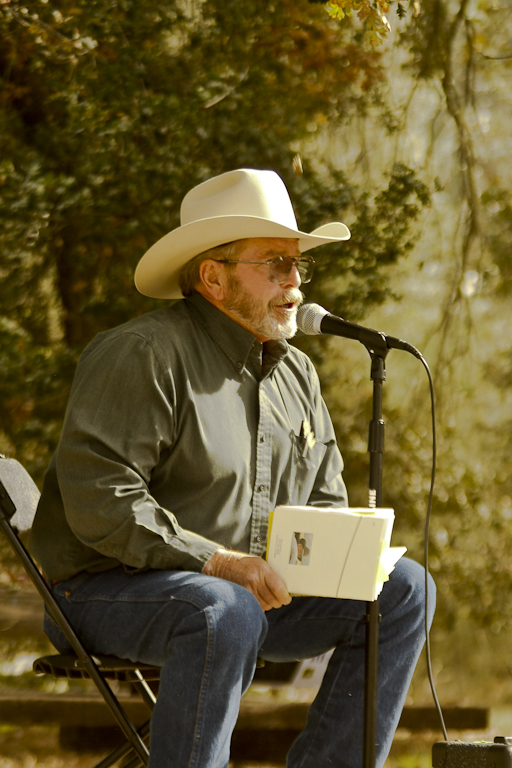 Saturday, November 6: “Getting Grounded: The Land & Arts Field Day,” the Festival’s signature event, is a free, outdoor arts and culture extravaganza with live entertainment including: cowboy poetry, performance poetry, traditional Native American drumming and storytelling, folk and bluegrass music, and inspiring personal narratives from farmers, ranchers and regional historians. There will also be visual art displays, art & craft sales, children’s art activities, guided nature walks, beer and wine tasting, and local food. Where: Kaweah Oaks Preserve, a 322-acre oak woodland nature preserve that protects hundreds of plant and animal species. 29979 Road 182, Exeter, CA. Time: 11:00am-4:00pm. Sunday, November 7: “Becoming Native: The Land & Arts Symposium,” a one-of-a-kind, interdisciplinary event featuring five panelists with distinct relationships to the land. They will engage in a thought-provoking discussion about how they’ve been born into or have grown into different native identities of the region. Where: College of the Sequoias 915 S. Mooney Blvd., Visalia, CA. Time: 3:00-5:00pm. 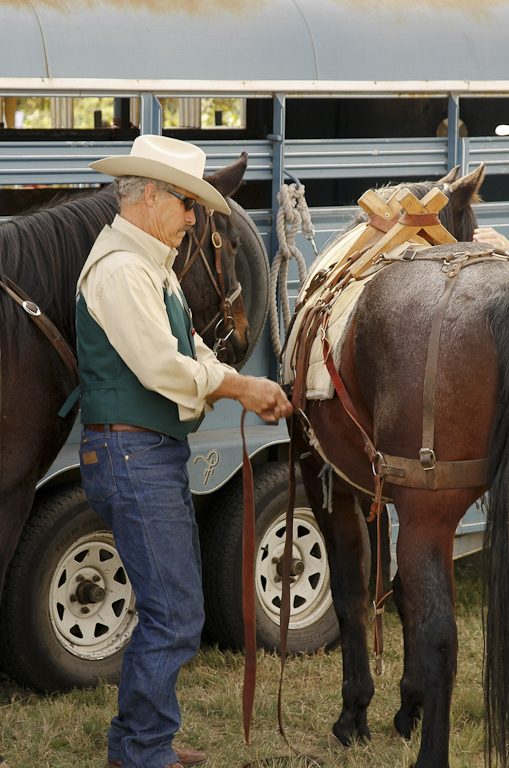 Documentary screening of “Artists of the Great Western Divide” at 2:15. 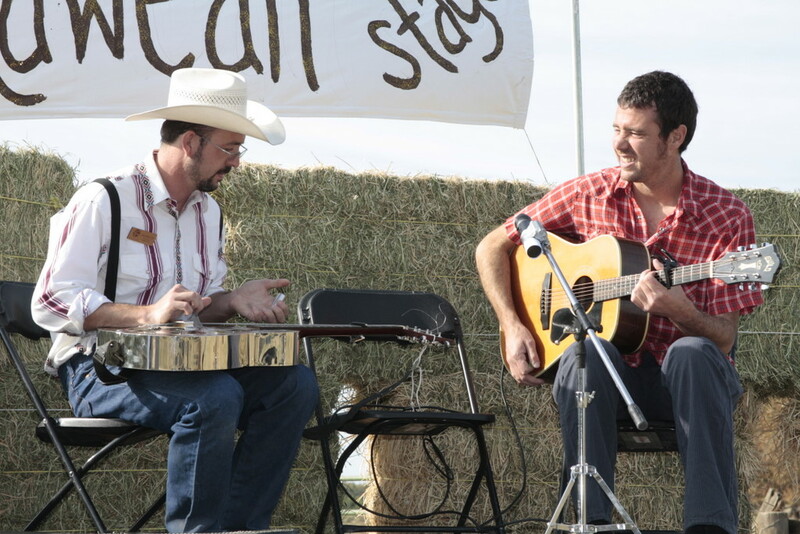 “Artists of the Great Western Divide” (2010) is a 30-minute documentary that was produced, directed and written by Reedley College professors and students. 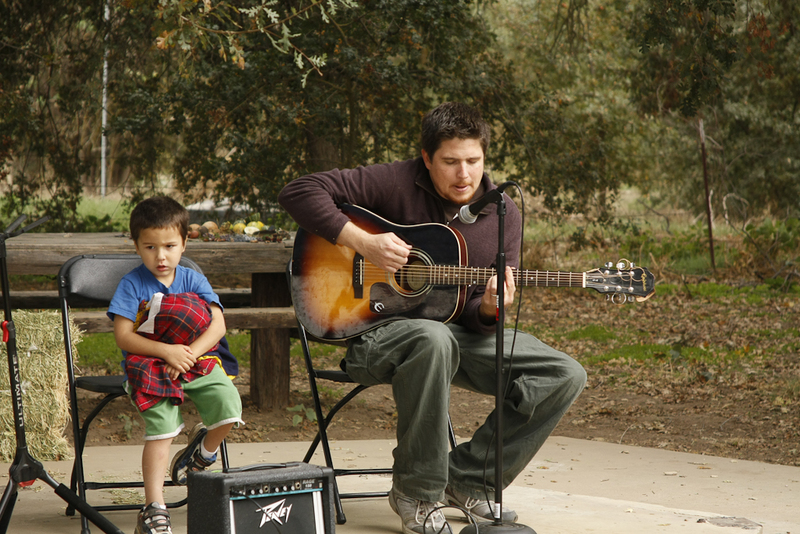 The film was inspired by the Kaweah Land & Arts Festival (November 2009) and highlights three of the Festival’s participating artists and their creative response to the Kaweah River watershed. Matthew Rangel is a printmaker whose featured work was inspired by a pilgrimage he made from the valley floor to the highest reaches of the Great Western Divide of the Sierra Nevada. His print series, A Transect – Due East, is the result of this journey. 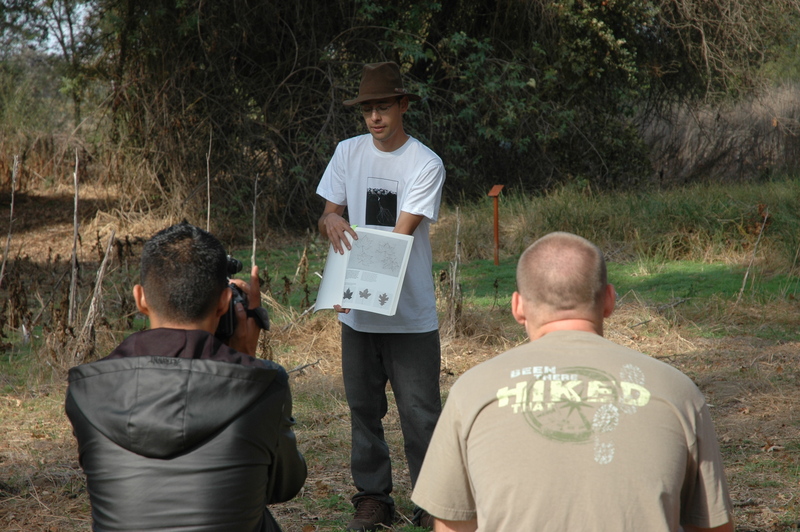 During his travels, Rangel became acquainted with many knowledgeable and unique individuals throughout the Kaweah River Watershed that influenced his artwork and experience with the land. John Spivey is a poet, writer, furniture designer and avid photographer born in Exeter, CA. His family were early pioneers in the San Joaquin Valley. Spivey’s work includes the book, The Great Western Divide: A History with Crow, Coyote, Chaos and God, and digital photographs that document the color-saturated beauty of the Sierra Nevada. You can purchase a copy of the film at: https://www.createspace.com/292383. The Festival Was A Huge Success! What an amazing event! 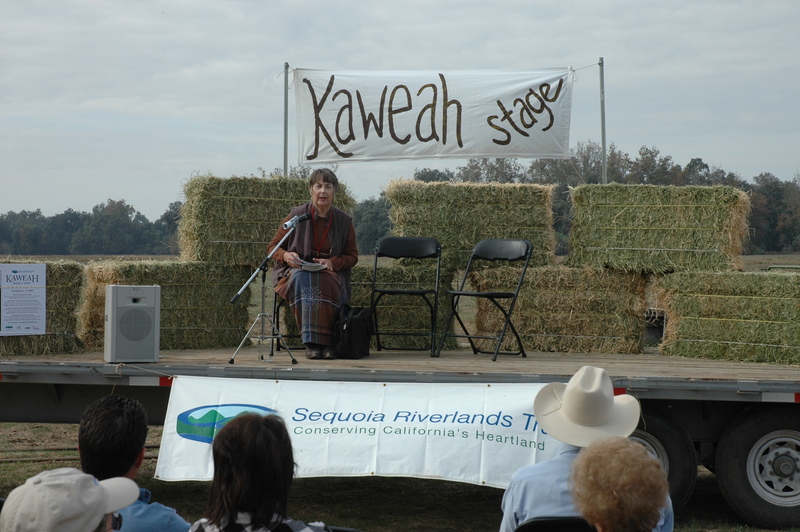 If you made it out to the first Kaweah Land & Arts Festival, then you were privy to the gathering momentum of a glorious movement that is properly recognizing the natural and cultural virtues of the Kaweah watershed landscape – from the peaks of the Great Western Divide on down to the dried up shores of the Tulare Lake Basin, and all the artists that live on and tend to that land. If you didn’t make it out to the festival, please check out our slideshow and stay tuned to the announcement of next year’s festival dates. 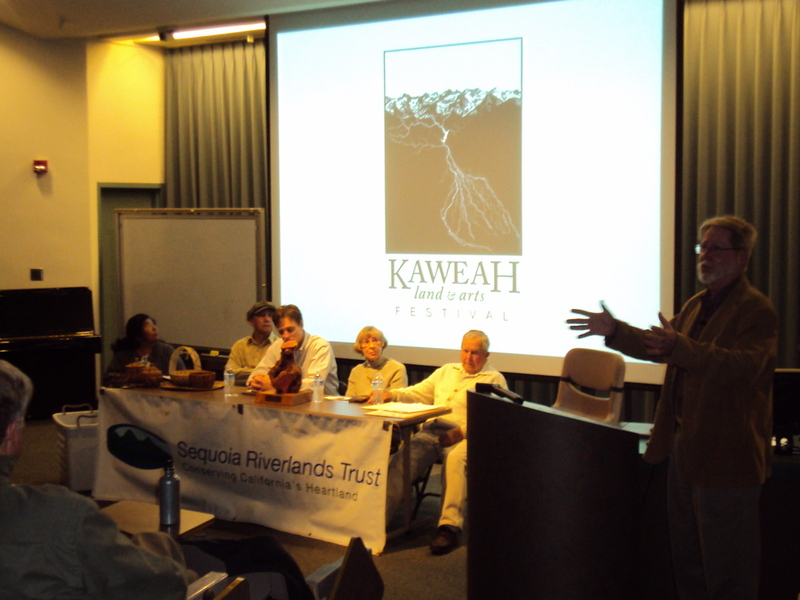 The purpose of the festival was to draw our attention outward to the meaning and magnificent sights of the Kaweah watershed. It’s so easy to go about our days, focused internally on our tasks, destinations and responsibilities without looking up to notice the Sierra Nevada looming less than 50 miles away, as we travel down a street named Kaweah or Mineral King or Tulare—unnoticed names that, when recognized, are important reminders of our heritage. 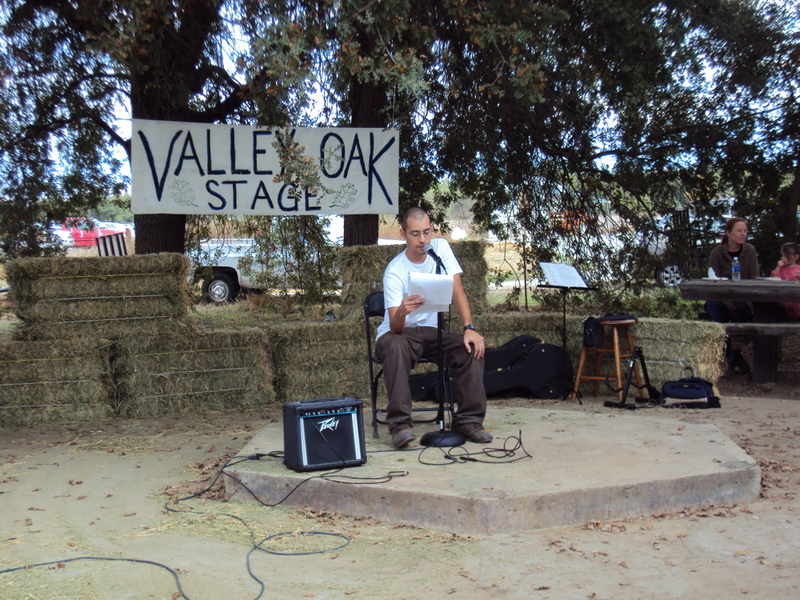 The purpose of the festival was also to highlight the great work of the artists, writers, poets, farmers, musicians, scientists and historians who devote their lives to telling the stories of the landscape in addition to taking care of it so that others can continue to tell the story. Thank you to everyone who shared their story. And special thanks to Matthew Rangel who deserves so much credit for envisioning this project and carrying it to its fruition, which is really a much larger work in progress (for all of us). As a visual artist, Matthew’s vision is always being inspired anew and he is always anticipating how he can bring that growing inspiration to a larger audience. Matthew and the others on the Kaweah Land & Arts Festival planning committee (Bill Tweed, John Spivey, John Dofflemyer, Kevin Bowman, Laura Childers and Niki Woodard) are assessing the first festival and enthusiastically planning the second one. We’d love to hear your feedback, so please take a couple minutes to fill out this survey and send it in to Sequoia Riverlands Trust, Attn: Niki Woodard, 427 S. Garden St, Visalia, CA 93277 or fax it to 559-622-9477. We’d also like to extend a hearty thanks to the dedicated crew of community volunteers who helped make all the events at the festival run smoothly: Tina Collins, John Greening, Dave Hobbs, Sally Hobbs, Joanne Hoyt, Ken Olsen, Shirley Kirkpatrick, Laurie Killian, Linda Roddick, Brad Schleder, Doug Snider, Don Stone, John Stowe, Phil White and Kay Woods. Also, thanks to all the artists and vendors who set up their amazing work for everyone to enjoy: Steven Ball, Oshah Baxter, Cedrick Brown, Elsah Cort, Brandon Crow, John Griesbach, Michael Hansen, Shirley Keller, Anne Marks, Frances Pyles, Jane Zielger, Arts Visalia, California Native Plant Society, C & C Potters, Family Farm Fresh, Pleasant Valley Ranch, Sequoia Natural History Association, Seven Circles, Timothy Schweizer, Tulare County Citizens for Responsible Growth, Tulare County Historical Society, Urban Tree Foundation and WildPlaces. Also, thanks to John Crow of Crow’s BBQ for serving up delicious food despite the many mishaps of his morning (flat tires and broken trailer). Sylvia Ross reads from a collection of Native American poetry, "The Dirt is Red Here"
And thanks to all of you for coming out and enjoying a special event with us. We look forward to making an even bigger impact in the years to come. 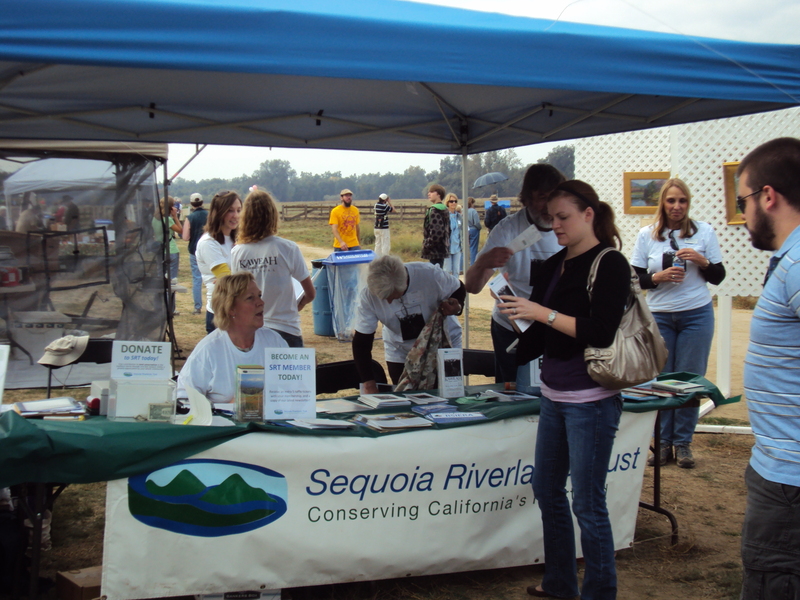 If you aren’t already a member of Sequoia Riverlands Trust, please consider becoming one today and supporting such a worthy cause! And, of course, thank you to all our sponsors and partners. Festival t-shirts are still available for a discounted price. You can purchase t-shirts, along with books and artist prints at Arts Visalia, which will be featuring Matthew Rangel’s innovative lithograph depictions of the Sierra Nevada, “a transect – Due East,” along with John Spivey’s vivid photography collection, “The Luminosity of Stone” for the remainder of the month of November. And don’t forget to check out the festival slideshow!! 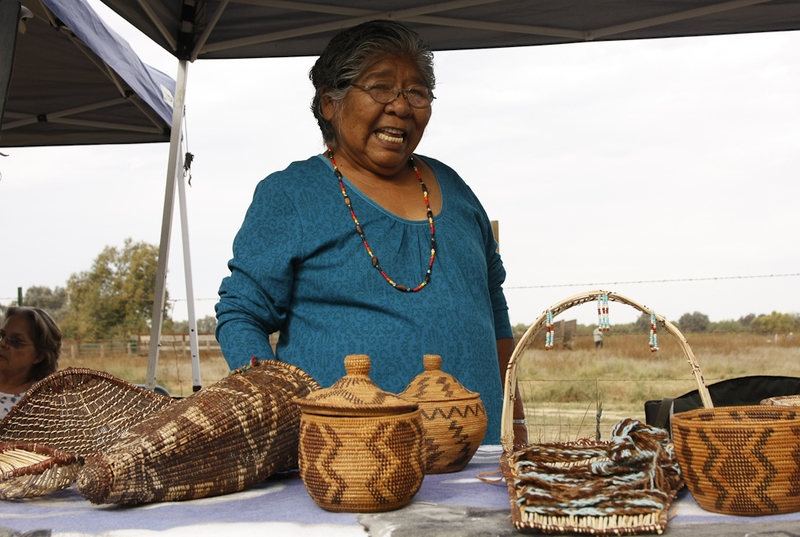 The first Kaweah Land and Arts Festival is happening this weekend! 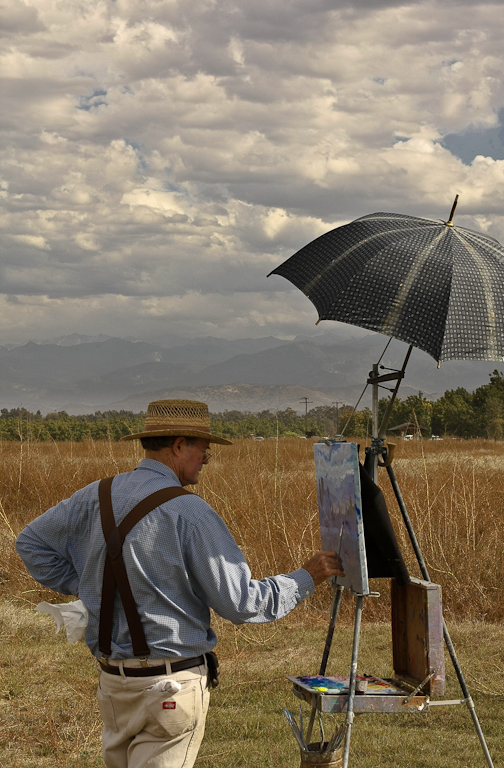 Events begin on Friday with an artist opening at Arts Visalia, then the Land & Field Day on Saturday at Kaweah Oaks Preserve, followed by the Land & Arts Symposium on Saturday evening at College of the Sequoias. The festival concludes on Sunday afternoon with a sculpture exhibit at Designs by Arenas. For times, locations and more details, click here. 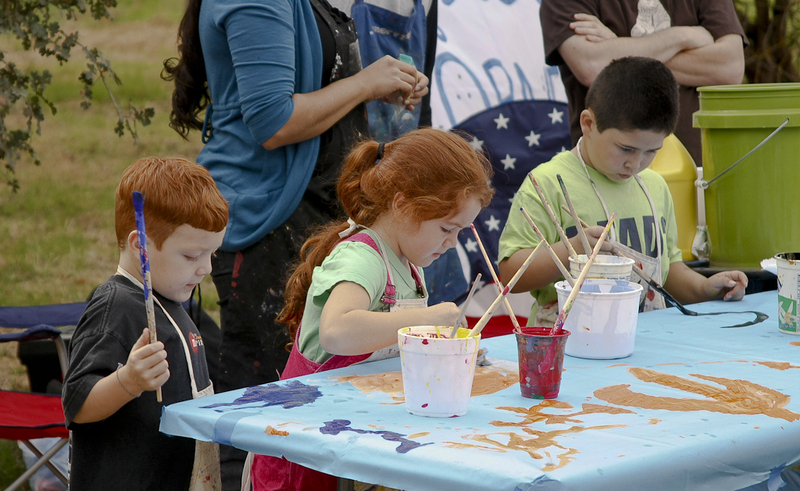 Bring the whole family to Kaweah Oaks Preserve for the Land & Arts Field Day on Saturday afternoon. 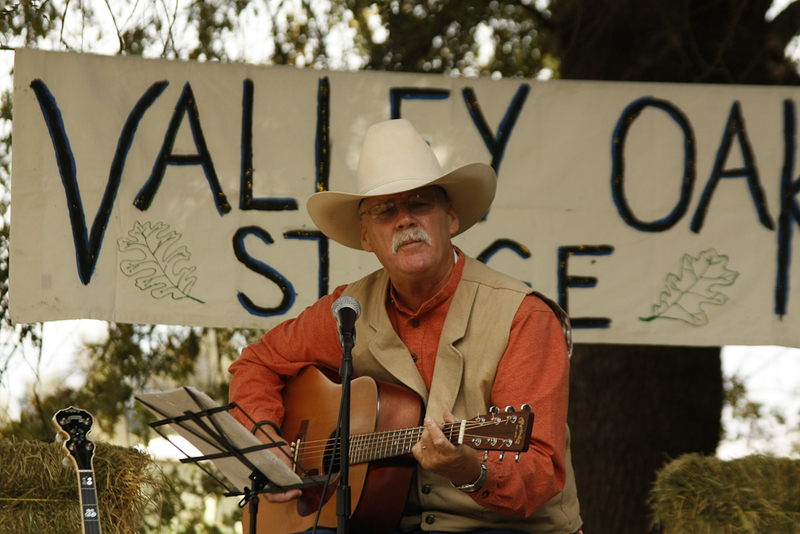 Spend a beautiful fall day outside under the great valley oak trees while soaking up music, poetry and art from and about the distinct Kaweah River region. 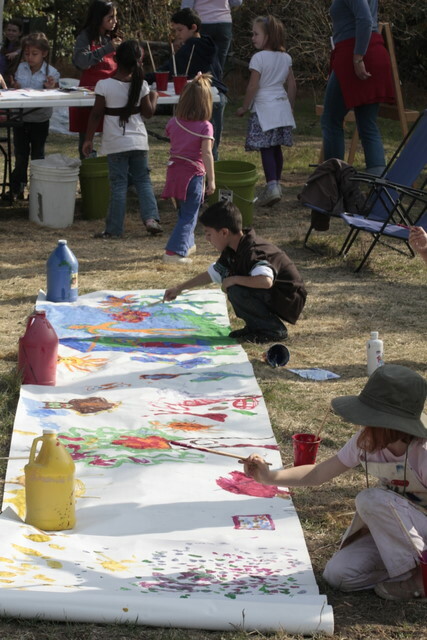 Children’s art and activities will help keep the kids happy. And delicious BBQ lunch (tri-tip, chicken, burgers, local organic vegetables from KMK Farms in Kingsburg) will keep your tummies happy. Check out the work of other non-profits in the area. And don’t forget to bring your wallet – books and art will be on sale from local writers and artists. Click here to view the PDF of the festival brochure, which has the full schedule of events for the weekend. Click here to view the bios of symposium participants. 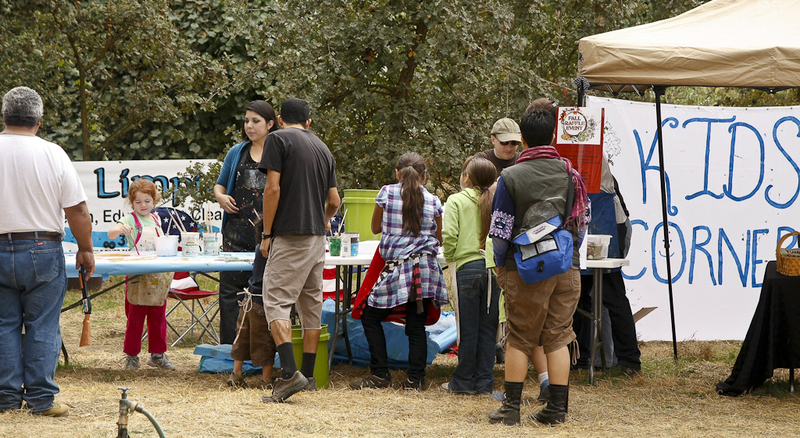 You are currently browsing the archives for the Kaweah Land & Arts Festival category.